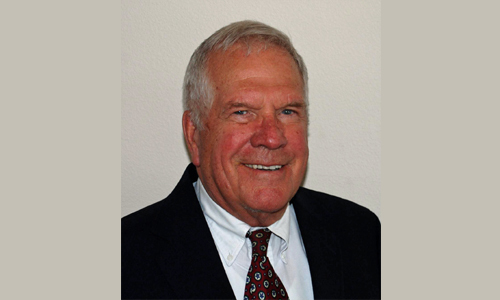 NEW CASTLE, PA., U.S.A., March 11, 2015: Paul N. Colby, a plastics industry leader in the design and production of screws, barrels, and front end components for plasticizing systems, died on March 7. He was 86. Mr. Colby built Youngstown, Ohio-based Spirex Corporation from a small screw company with his wife Illene in 1978 into an internationally recognized business when it was acquired by Xaloy Corporation (now Nordson Xaloy) in 2009. That same year, he was inducted into the Plastics Hall of Fame. Paul Colby held many patents for plasticizing components. Under his direction, Spirex pioneered many methods of screw design and production that resulted in processing advancements, led to higher quality parts, and improved production for processors. Mr. Colby retired as president of Spirex in 1998 but served as the company’s chairman until the Xaloy acquisition. Mr. Colby graduated from Princeton University in 1950 with a BSc in mechanical engineering. Following two years in the U.S. Navy, where he served as radio and signal officer on the USS Rendova, he joined Winner Manufacturing as an engineer. There he designed, built, and helped test a pontoon bridge for the U.S. made largely from reinforced plastic. At the time, at sixty-feet in length, it was one of the largest reinforced plastics items ever built. By the mid-1950s Mr. Colby had decided he wanted to pursue a career in designing and manufacturing feed screw systems for plastics processing machinery. He went on to work for Sterling Extruder, Metropolitan Machinery, Davis Standard, Prodex, and Union Carbide. Ultimately he was appointed general manager of the Feed Screws Division of Union Carbide/New Castle Industries. After eight years at Union Carbide, Mr. Colby struck out on his own to establish Spirex Corporation in 1978.